One of the few under-examined aspects of Picasso's life and work was his love of animals. The son of a pigeon breeder and an aficionado of bullfighting, Picasso had an eye trained for capturing an animal's movement, shape, and personality - often with just a single line. Organised around the different types of animals that played a role in the artist's life and body of work - from his beloved dachshund, Lump, to dogs, cats, and doves, among others - each chapter offers personal accounts, amusing anecdotes, and wondrous works of arts. 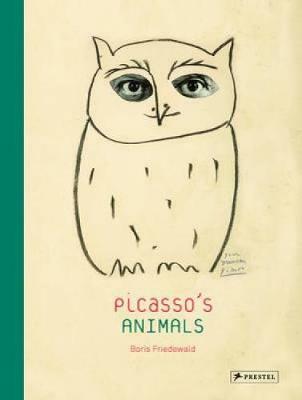 The perfect gift for lovers of animals or Picasso's art, this exquisite treasury of expertly rendered creatures is filled with humour, warmth, and the tremendous bonds between man and animal. Includes a preface by Davis Douglas Duncan.